Thank you for choosing to Broadcast Your Love for GSAFE during the big share. Please feel free to use the following tools in your efforts. A number of Big Share corporate sponsors plan to award bonus donations to the organizations that raise the most funds or the most individual donations at different hours throughout the day. These are the times we are focusing on the most. If this works for you, great! If not, that’s great, too. You do you! 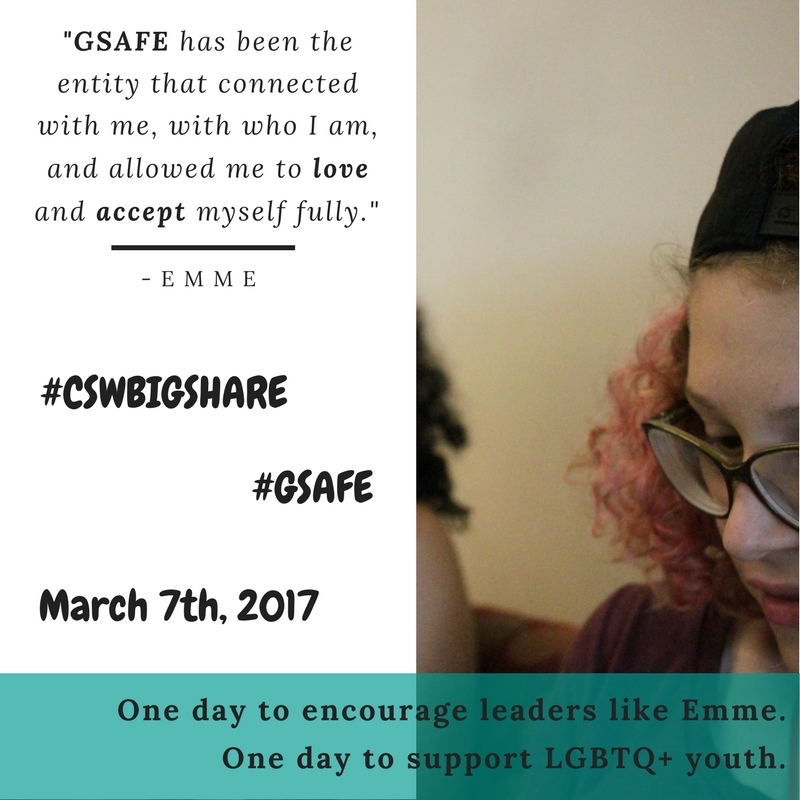 “Today is The Big Share and I want to share my appreciation for GSAFE, which works with Wisconsin K-12 students, educators, and families to create schools where LGBTQ+ youth not only survive, but thrive. They have made an impact in my district/school/community by __________. 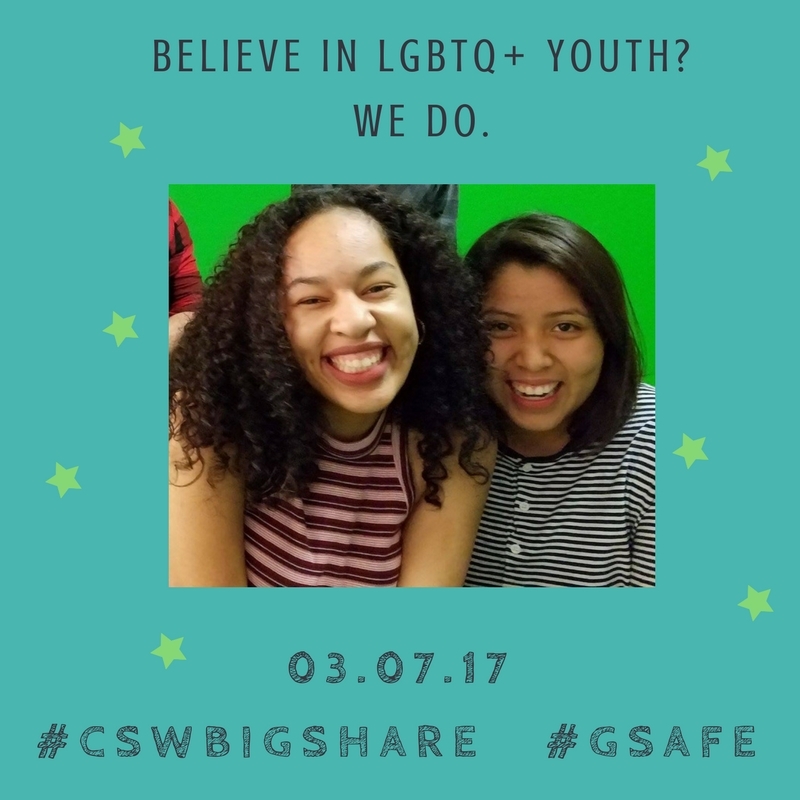 GSAFE supports the leadership development of LGBTQ+ youth and their adult allies every day. NOTE: Please download and use one of the images at the bottom of this post. You can follow the same script as the sample Facebook post above. Feel free to extrapolate. Here are step by step instructions for recording and posting a successful Facebook Live broadcast. Consider teaming up with a friend, family member, classmate, or colleague and having some fun back and forth with each other. 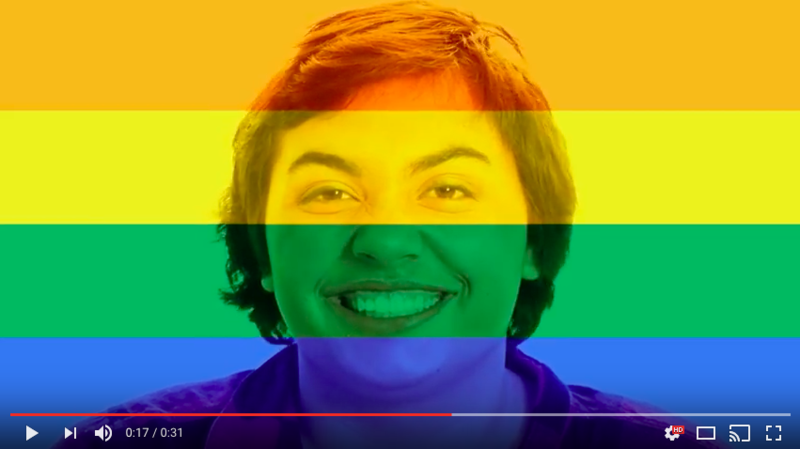 It’s okay to be nervous – we found that admitting this is your first time doing FB Live or that you are nervous but committed enough to LGBTQ+ youth that you’re going to do it anyway can actually be endearing to your audience and engage their support. Be sure to share your post with your selected network once you are finished. Consider re-posting it throughout the day to catch more eyes. 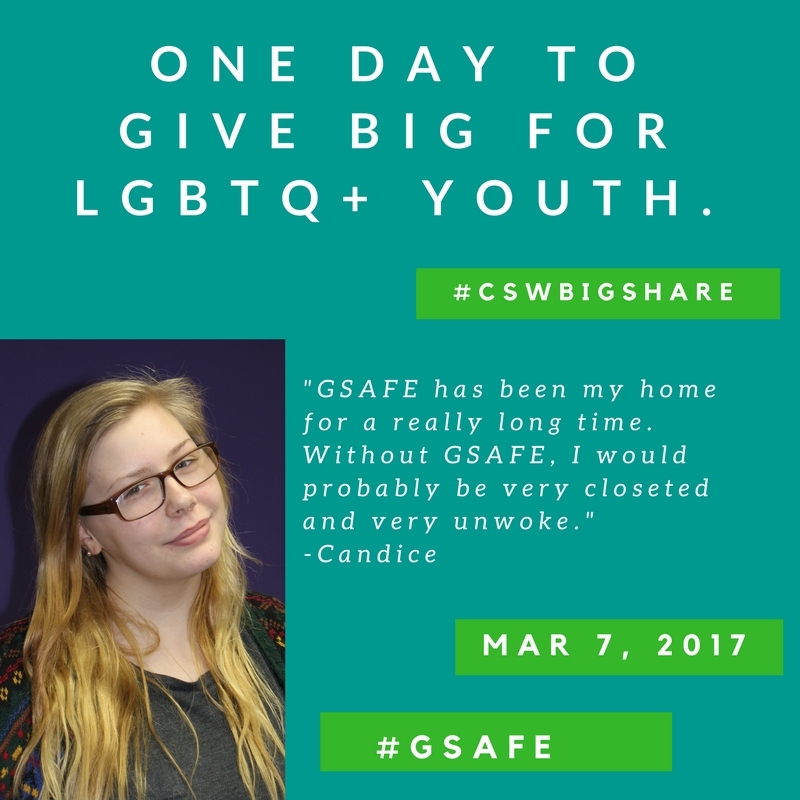 For over 20 years GSAFE has worked to create safe and inclusive schools for LGBTQ+ youth in Wisconsin through student leadership development, educator training, and policy advocacy. With roots reaching back to 1991 and growing out of two education-based volunteer organizations, we have continuously focused on building the leadership of students and educators to create public schools where LGBTQ+ youth don’t just survive, but thrive. Supported more than 200 GSAs and hosted our largest-ever youth conference for over 300 youth in Milwaukee. Trained 24 school districts how to support LGBTQ+ youth. Held weekly Foundations of Leadership classes centered on the experiences of LGBTQ+ youth of color for 73 Madison students. Mobilized 100+ people to speak out against the exclusionary Assembly Bill 469 which targeted transgender K-12 students. Worked with Milwaukee Public Schools to pass comprehensive school policies and practices for transgender and nonbinary students, which raised the number of Wisconsin students covered by similar policies to over 50%. Please copy and save these images to your computer and include them with your Facebook post or emails. If you’d like us to create one that features you along with a personal quote, let us know!